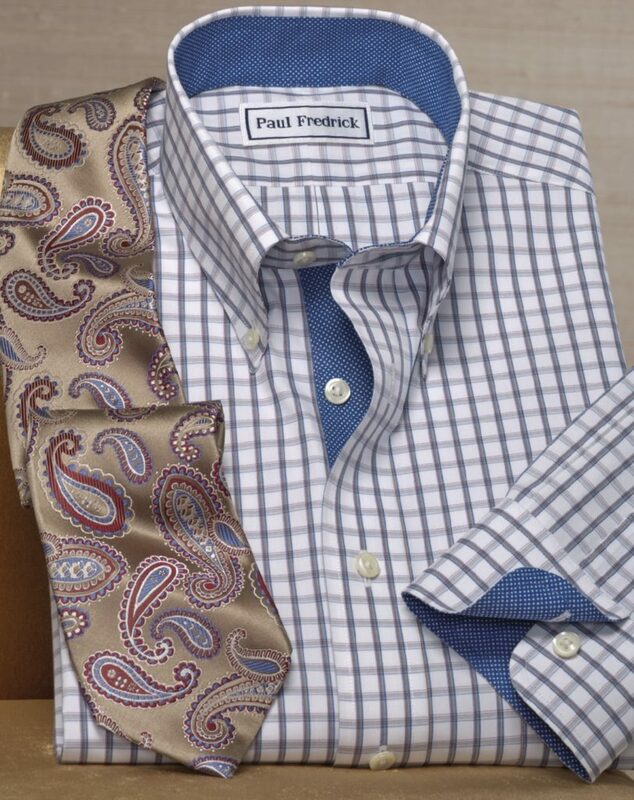 So, take advantage of our slim fit collection with slim fit dress shirts, slim fit sport shirts, and slim fit pants. If you wore trim fit before, you’ll be wearing slim fit now. It’s that simple! Just remember: New Term. Same Fit. I have been wearing trim fit shirts for a number of years, but I wish to offer an observation. When I purchase a white on white trim fit, the shirt seems larger. Not quite as full as regular fit, but larger than a non patterned. Is this due to the weave of the white on white? Thanks. Continue to do the great work you do.!! Samuel, thank you for your comment! The measurements of our slim fit shirts are the same regardless of whether they are patterned or solid. Occasionally a shirt will differ very slightly in size (1/4″-1/2″) from the stated measurements, which might be what you experienced. Since the materials we use are natural fabrics, there can be a little variation during the construction process and that is why there is a tolerance to our shirt measurements. The variation is very slight, so it’s usually not noticeable to our customers. However, if your shirt is still in its original condition and is within the 90 day return period, you may certainly exchange it. I am wondering about the fit of the suit. Is it a trim fit or a slim guy or a box cut jacket. I see you have a trim pant and shirt. Just checking on a jacket that has a contemporary fit. Thank you for your question, Julie! We do not currently offer a trim fit model in our suit jackets or sport coats. The styles you’ll find on our website are our Regular Fit, which is cut generously for a relaxed and movement-friendly fit. You might however choose to take your jacket to a tailor, who will be able to best alter the jacket to the specifications for your choosing.